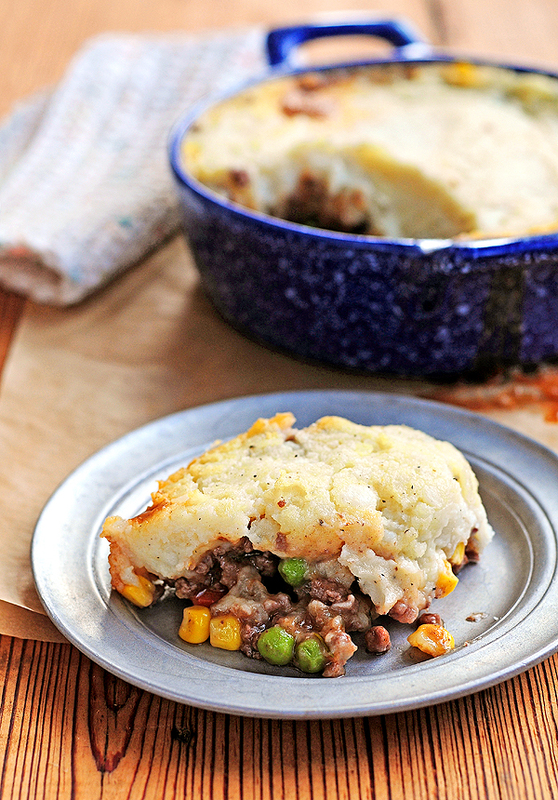 This Shepherds Pie Recipe is the perfect comfort food and a great way to use leftovers. After the recent Quick Baked Potatoes post and with St. Patrick’s Day fast approaching, I found myself in a wee bit of an Irish mode. Plus, I’m still craving all things comfort food. 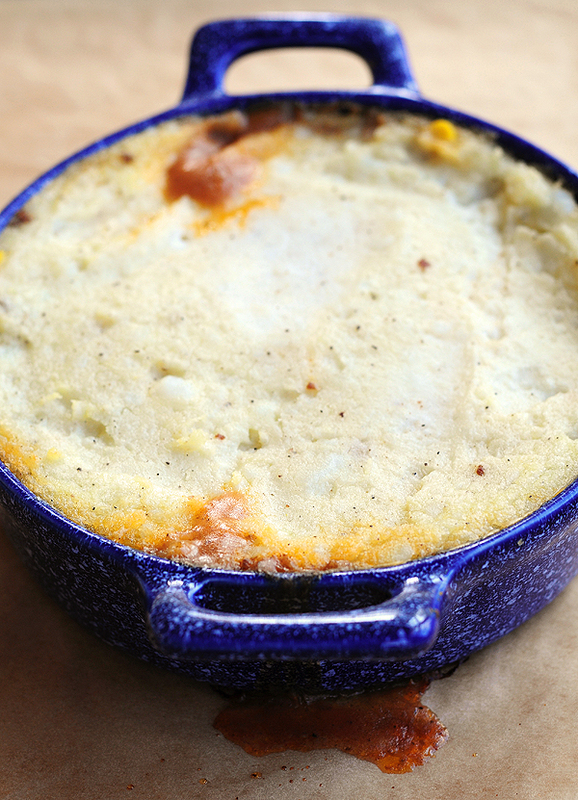 And nothing says Irish comfort food like Shepherds Pie, a hearty, savory pie topped with mashed potatoes. What’s not to like? This Shepherds Pie Recipe is certainly one of those dishes that can be made ahead, and it gets better while it waits. Plus, the well-planned cook will find that this recipe is a great place to use leftovers. I adapted the recipe below from Alton Brown’s Shepherd’s Pie Recipe. While preparing it, I thought of a few other ways to switch things up the next time I make it. Sage would be a nice addition, as well as mushrooms, to name a couple, but feel free to experiment with other savory additions. This savory pie was a bit hit with our family. It disappeared in no time. I’m thinking it may be a good idea to go ahead and double the recipe the next time we make it. Besides, it would freeze well, and make a great meal to share with someone in need of some tasty comfort food. Enjoy! 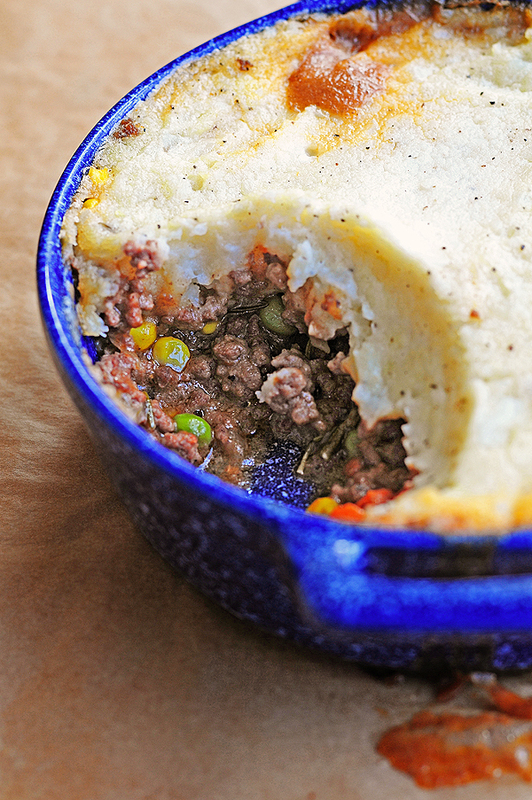 Nothing says Irish comfort food like Shepherd's Pie, a hearty, savory pie topped with mashed potatoes. Preheat oven to 400-degrees F and line a baking sheet with parchment paper. You'll need one 11x7-inch baking dish or approximate. Place diced potatoes in medium saucepan, cover with cold water, and bring to a boil over medium heat. Decrease to a simmer and cook until tender. About 10-15 minutes. Drain the potatoes and return to the saucepan. Add cream (or 1/2 and 1/2), butter, salt and pepper. Cover with lid to let butter melt. 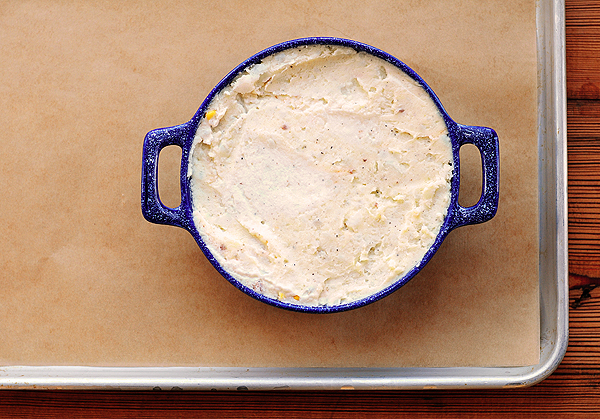 Once butter has melted mash potatoes until smooth. Stir until combined. Add in beaten egg yolk and stir again until combined. Cover and set aside until ready to use. While potatoes are cooking, brown hamburger meat in large skillet or sauté pan, drain, and remove from pan. Add the canola oil to the skillet/saute pan and heat over medium high until it shimmers. Add the onion, and carrots and sauté for 3-4 minutes. Next, add the browned beef, salt and pepper. Combine well and cook for about 3 minutes over medium. Sprinkle the meat mixture with flour and toss to coat. Cook for another minute. Stir in the tomato paste, chicken broth, Worcestershire, rosemary, and thyme into the meat mixture. Combine well, cover and simmer for 10-12 minutes, until the sauce slightly thickens. Finally, add the corn and peas to the meat mixture, and mix together. Transfer beef mixture to an 11x7-inch baking dish (or approximates). Smooth mashed potatoes across top, taking care to cover the whole top all the way to the edges. It helps to use a rubber spatula to create a seal. This prevents the mixture from bubbling out too much. Place baking dish on a parchment lined baking sheet and bake on the middle rack of 400-degrees F oven for about 25 minutes, or until the potatoes just begin to brown. Cool a wee bit before serving. Enjoy! Adapted from Alton Brown's Shepherd's Pie Recipe. 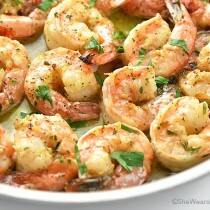 Get cooking with more Irish inspired recipes like these from CookingLight.com! 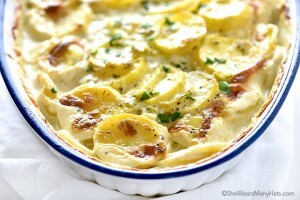 My boys LOVE all things meat and potato so this is perfect…I can even sneak some peas in!! First I see an awesome version of this on Diners, Drive-Ins and Dives, now your version … I think it’s a sign I should try to make one of these. I love this so much! 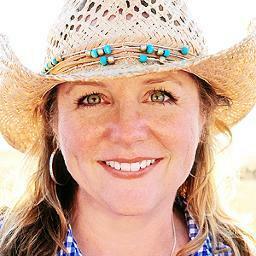 Especially since you use ground beef and call it Cowboy’s Pie, I know my cowboys would love it! Love that dish that you baked it in too. Shepherds or Cowboy pie, either way, I’ll take it! Oh boy, this looks like the most satisfying and delicious dinner! 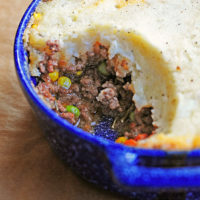 I love shepards pie (I like to call it that even with beef), I’m going to need to give this a try very soon! This is not going to help my diet. At. All. Who cares? Happy St Paddys. I have been craving shepherd’s pie. This looks so good, Amy! Love Shepherd’s Pie and yours looks fabulous, Amy! Did you save some for me? This is great for a cold winter day! I am all about some meat and potatoes! And maybe a few veggies too. 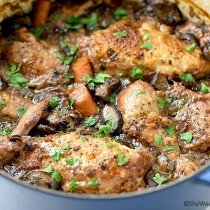 I love a dish like this; hearty and complete in one dish; looks great. BTW I re-created a dish last year after visiting a local Irish pub and though they call theirs shepherd’s pie and so I did too, I was schooled by a commenter that If using beef instead of lamb it’s a Cottage Pie. OK…either one it’s still just good! will you send this to my house tonight! 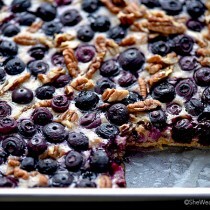 I need to go to the store and this looks amazing!! Love this Amy. It looks so hearty and delish! This pie looks absolutely delicious. My family will love it. Thank you for the recipe. Never had such a pie before! Looks gorgeous! We don’t have it in our cuisine, and I’m definitely intrigued! 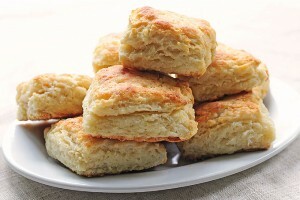 I love that it is made with mashed potato instead of a dough! Must try it with lamb as we love it more! I heart shepherds pie. That is all. Wow, talk about comfort food! I love Shepherd’s Pie. Always reminds me of our time in Ireland. We ate that and fish and chips every chance we got! Those potatoes look just perfect. I always use ground beef in shepherd/cowboy pie. This is a fave at our house…except I get stuck in a pea only rut! Time for me to mix it us! It looks delicious. I’m surprised to see shepherd’s pie described as an Irish dish. I think if you ask anyone in the UK they would say it was British. Let’s call it a dish from the British Isles and then no one will be upset! 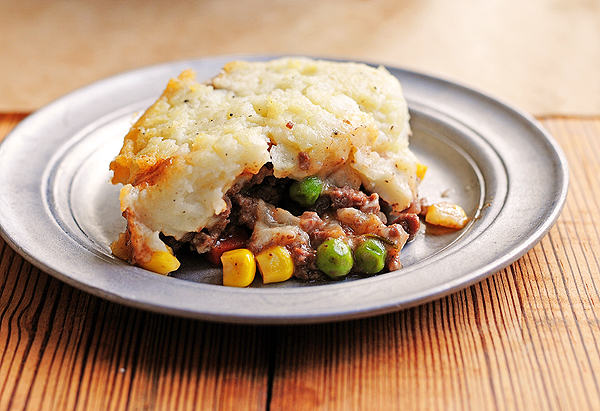 When made, as it often is, with beef it is known as cottage pie. It is often served with peas but they are never put into the meat mixture. I made this last nite and it was amazing! I made it with deer buger. I think I’m gona call it hunters pie. I made this recipe the other night and it was a hit for both my husband and 6-year-old daughter. My husband had 4 plates of it! I did make a few substitutes and changes: I used four-cheese instant potatoes for the topping, ground sirloin rather than ground beef, about a tablespoon of dried rosemary leaves, ground thyme, and I didn’t add the frozen peas. Also, I used an entire can of tomato paste and placed some sliced swiss cheese on top of the meat mixture before baking it in the oven. Will definitely make this again! So happy to hear it. I do like your substitutions! with the shepherds pie if its lamb it`s shepherds pie if its beef its cottage pie. I am obsessed with healthy food! 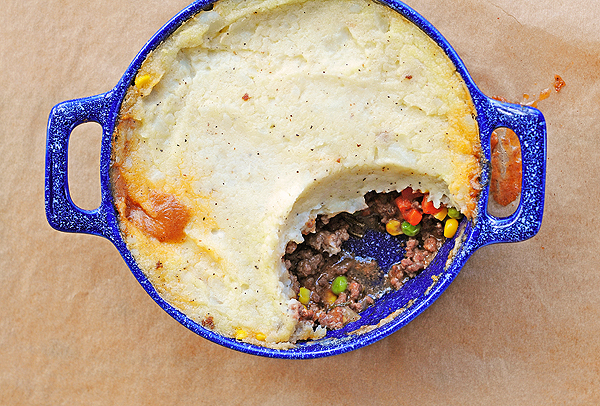 This is absolutely magnificent, scrumptious, delicious, super yummy shepherds pie recipe. 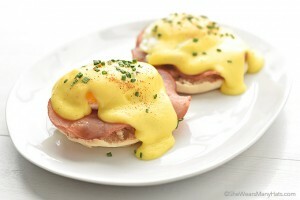 Would be perfect breakfast! Thx for sharing Amy! Awesomeness shepherds pie. It is very decadent, and the people in my office are happy today! Hello Amy, they look really nice:) What is the protein ratio?